Most people in Texas, especially those older than 50, can tell you one thing about La Grange. The town is famous for being home to the Chicken Ranch. Now if you’re not familiar with the Chicken Ranch, well it was a somewhat infamous place where ladies entertained men both young and old. 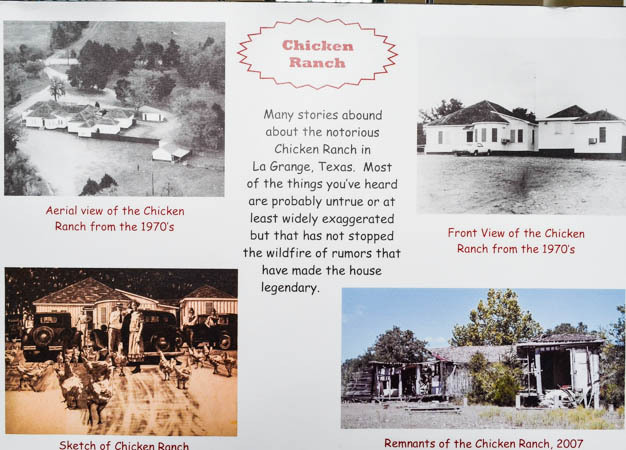 Although the activities where illegal, the Chicken Ranch was tolerated and stayed open from 1905 to 1973. A movie, somewhat factual, was made with Dolly Parton and Burt Reynolds. You can read more about the Chicken Ranch here. 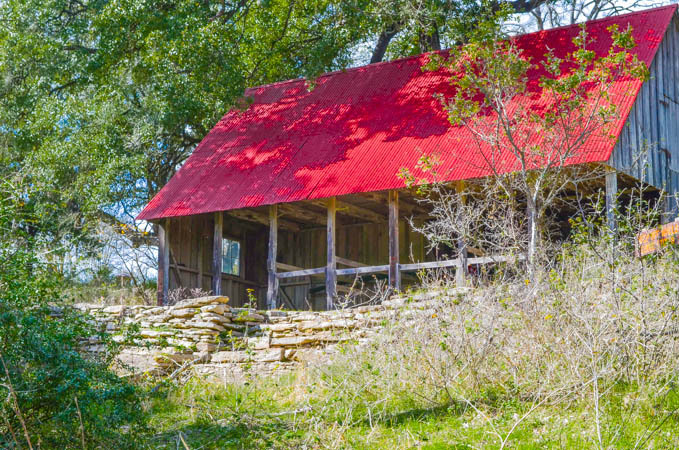 The Chicken Ranch is long gone but La Grange is still a great place to visit with several historical buildings and a State Park on the outskirts of town. The first residents began settling in the area around 1830 and the town was established in 1837. With a current population of around 5,000, La Grange is a great little town to spend the day exploring. 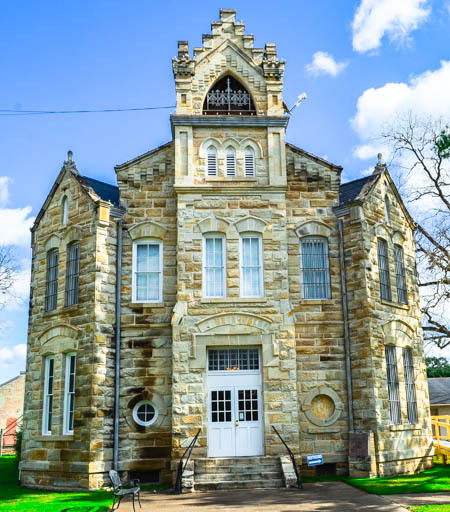 The old Fayette County Jail has been turned into a visitor’s bureau and has some exhibits on display including one of the original jail cells and some of the artifacts that were discovered during the remodeling efforts. The infamous duo of Bonnie and Clyde were guests of the jail at one time along with other nefarious criminals of the day. The Fayette County Courthouse is an example of Romanesque architecture. Completed in 1891, the three story courthouse is still in use today. As long as court is not in session you are free to venture into the court room and look around. 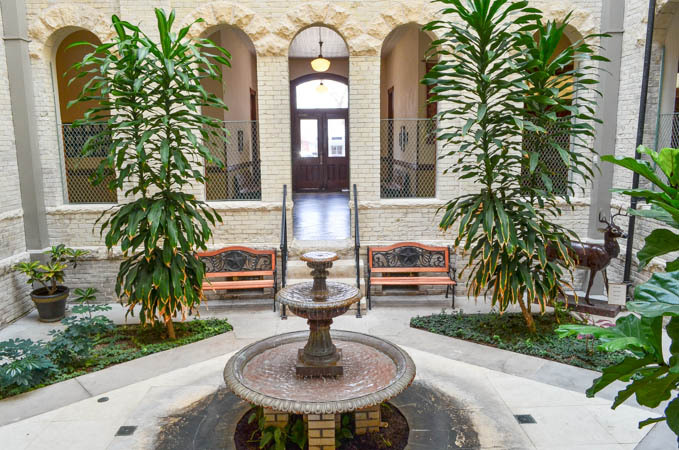 The old courthouse has an open courtyard in the middle of the building and you can see examples of craftsmanship from a bygone era throughout the building. The old railroad depot has been turned into a museum and there are old buildings and homes throughout the town. 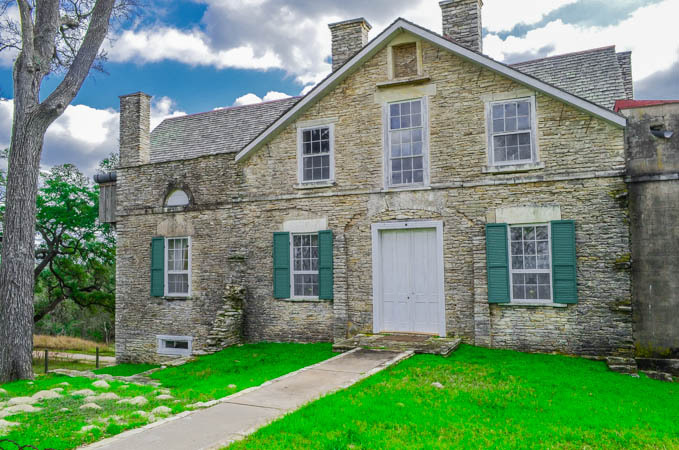 One such home is the Faison Home constructed in the mid-19th century, home to one of the earliest families to settle in the area. The Faison family lived in the home for 90 years and today you can visit and see some of the original furnishings. Monument Hill and Kreische Brewery State Park is located just outside town. On a bluff overlooking the Colorado River the park is the location of two historic sites. 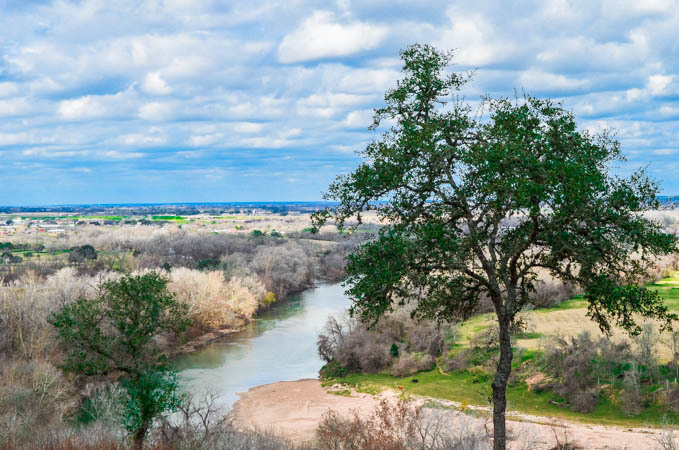 In 1842 the war for Texas independence was raging against Mexico and Texan forces battled at Salado Creek in an attempt to repel Mexican forces that had just captured the Alamo. A group of 54 men, mostly from Fayette County, marched toward the battle to join in but were attacked by 500 Mexican soldiers resulting in 36 men being killed with 3 escaping and 15 being captured. The captured men were marched over 1,000 miles to a prison near Veracruz Mexico. In the winter of 1842, 300 Texans, known as the Meir Expedition, set out to avenge what had become regarded as the “Dawson Massacre”, in a border town on the Rio Grande River a fierce battle ensued. Despite heavy Mexican losses 250 Texans were captured and marched toward Mexico City. An escape took place and 181 men attempted to make it back to safety but within weeks 176 of them surrendered due to the harsh desert conditions. Outraged, Mexican President Santa Anna ordered the execution of the men. Diplomatic efforts by the United States and Great Britain resulted in Santa Anna coming up with a compromise. Known as the Black Bean incident, the men drew beans from a pot containing 159 white beans and 17 black beans. The men drawing the black beans were executed. 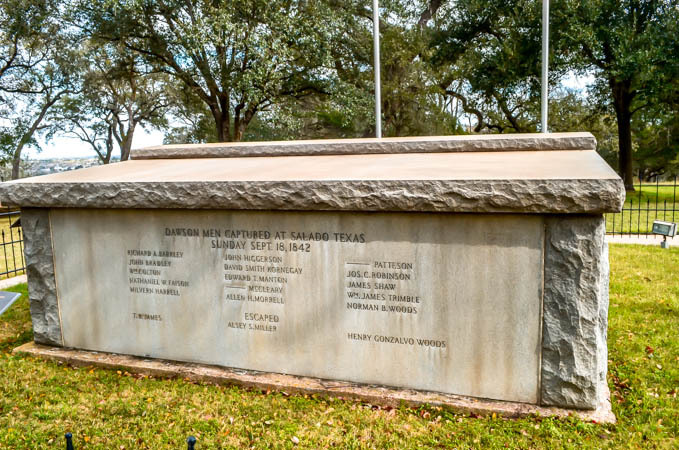 In 1848 on the 6th anniversary of the Battle of Salado Creek, remains of the Texas militia volunteers were reburied at Monument Hill. In 1933 a granite tomb was placed around the old tomb and in 1936 a 48-foot monument was erected. Also located at the park is the old Kreische home and remains of the Kreische Brewery. 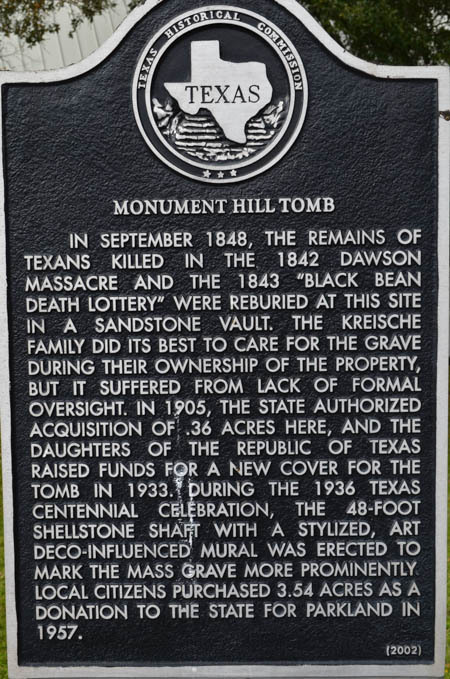 In 1849 Heinrich Kreische purchased 172 acres on the bluff, including the Dawson/Meir tomb. In 1860 Kreische began building a brewery in a ravine below his home. 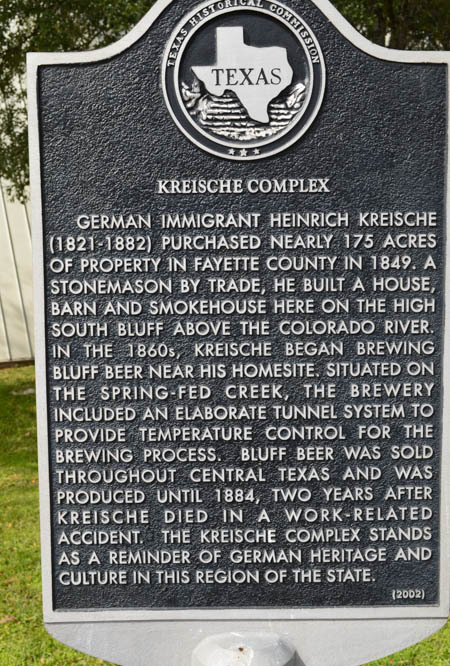 During the Civil War, “Kreische’s Bluff Beer” was being commercially produced and by 1879 was the third largest brewery in the State. The brewery remained in operation until Kreische died in 1882 and the brewery finally closed in 1884. 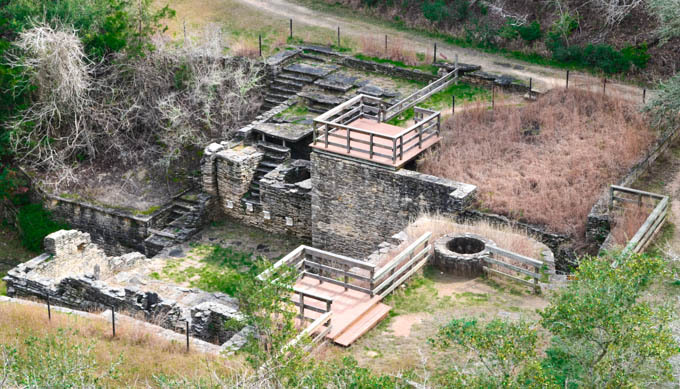 Today the park is open to visitors and trails will take you through the park to the tomb, the Kreische home and there is a trail down the ravine to view the remains of the old brewery. 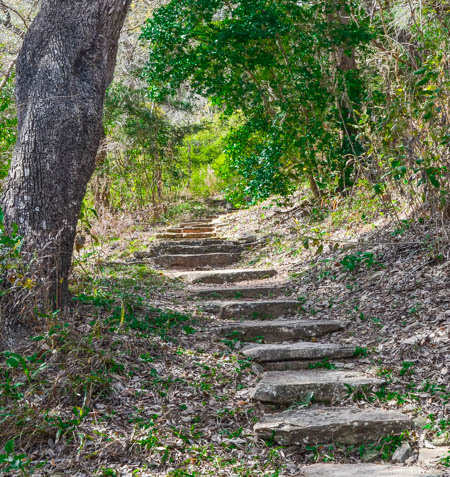 La Grange, like many small towns in Texas, is a great place for a day trip or weekend getaway. Full of historical sites to visit the area also has a nearby winery, great restaurants, antique shops and a year round farmer’s market. Nice post! Definitely La Grange sounds like an amazing place! It is a great little town with a lot of things to see and do. Beautiful photos. Yes, I remember the Dolly & Burt movie, so funny. Nice to read the real history, not told by song. Oh my. I need to visit that place soon! Like really soon. If you live anywhere close it’s a great day trip. It would be a great day trip from San Antonio. What an interesting post! 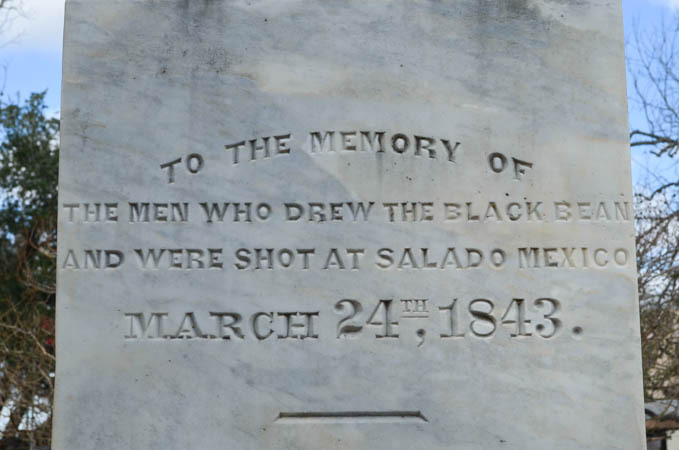 That Black Bean Incident is a real reminder of how brutal the land disputes and border issues once were in Texas. Wow there’s so much history pretty unknown over here in Europe about US states. How long would you suggest me to stay in Texas if I made a US car trip? Or, where would. You suggest me to fly from? Which is popular airport is the best (in terms of prices and distances)? What a fascinating post. The golden tones of the sandstone are just lovely, particularly of the Courthouse. Yes, I do remember hearing about the Chicken Ranch. The movie was pretty entertaining, too. I didn’t realize there was so much more to La Grange. Thanks for clueing me in! I spent a few hours in town but could have spent the entire day or weekend. I am always so amazed with Texas…it is just HUGE and I feel like I never know of all the cool places there bc you just keep hearing of more! 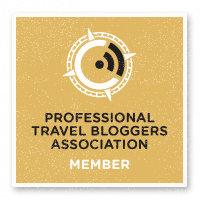 We plan to start RVing through the US next year, we’ll have to put La Grange on our map! There are definitely a lot of places you could visit. Too bad there’s no monument to the Chicken Ranch. I’d love to drag my conservative, Christian mother-in-law to there the next time we’re visiting her in Texas. She would be so pissed…. Well you have to remember the Chicken Ranch was in a conservative area. Everyone knew it was there but no one ever discussed it. At least openly. Wow, those buildings are gorgeous! I love the jail. I did not know that the Chicken Range was a famous ‘entertaining’ area. La Grange looks like a nice place for a weekend getaway. The jail is pretty interesting. They have 1 cell still there like it used to be. Right now the visitors center is housed there but they have plans on moving to a new building and the jail will be set up more as a museum. Never been to Texas, or La Grange, but it sounds like a nice little town to visit! I think it’s a nice daytrip for people who are living not too far away. 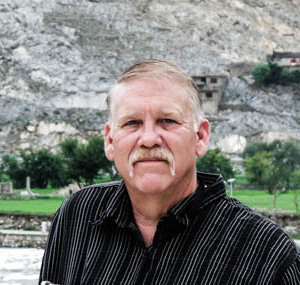 I had never heard of La Grange or the Chicken Ranch, but that’s a pretty interesting history!! I kind of want to check out that movie now, lol! Sounds like a great place to explore–I would love to take a look around that old court house–looks gorgeous! The court house was really nice. Unfortunately court was in session when I was there so I couldn’t go in and take photos. Lovely experience, Bob! I don’t travel much to historical sites but it’s good to know there is a place like this — one weekend drive away. Thanks for sharing! A lot of smaller towns have a wealth of old history,you never know what you might discover. La Grange sounds like an interesting town. I’d never heard of it before and how cool would it be to visit the jail where Bonnie & Clyde were once kept. The jail cell is really small. I am talking maybe 4.5 ft wide and 7 ft long with a fold down metal bed and a metal toilet with washbasin. La Grange has a lot of history buried inside of it. The Fayette County Courthouse is one of the many beautiful sites there. Thanks for sharing! The courthouse is nice, it is like stepping back in time. Bob, your photos are fantastic. What a fun article. The old Fayette County Jail pic is great and so fun they turned it into the visitors bureau. The jail had some interesting things inside. They are in the process of moving the visitors bureau to a new location, in a renovated building, and will be turning the jail into more of a museum. 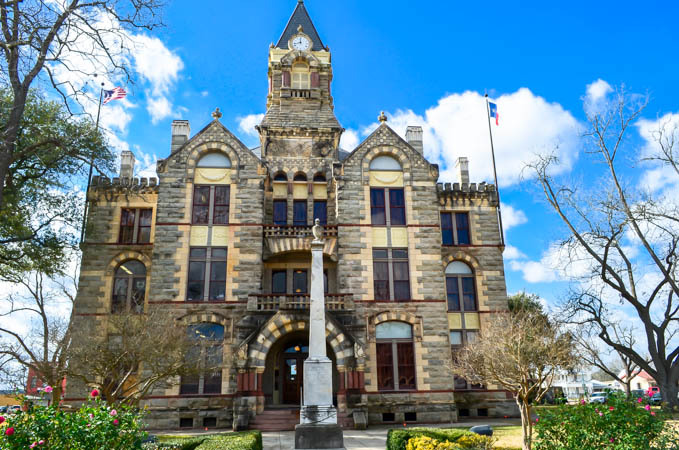 The Visitors’ Center moved to a renovated 1880 historic building called “Casino Hall.” The Fayette County Old Jail is now the home of the Texas Heroes Museum. We honor Texans from the time of the Texas Revolution to the present. This includes veterans of all conflicts, the sheriffs that served in the Old Jail, Texas Rangers, modern law enforcement, first responders, firefighters, the “Home Front” in WWII, Austin’s “Old 300″… people who made personal sacrifices to secure freedom and liberty and make Texas the great place it is today. The museum offers free tours, and it is open Fridays and Saturdays from 10 to 4 and Sundays from 1 to 4 except some holidays. Pick up a free visitors guide at our museum or download it from The Fayette County Record’s website. You can easily plan to spend a whole week in Fayette County. Thanks for the update. Looks like I need to make another trip. That’s some jail. I never knew about the white bean / black bean thing. So often we go to places and only scratch the surface of their history, yet underneath are some amazing facts about the location and it’s people. Hi Ted,thanks for stopping by. The jail is a pretty interesting place to visit and the surrounding area has a lot of history. Sometimes those small towns a few miles from the interstate highways hold a lot of history.